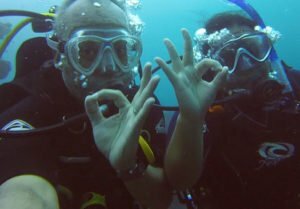 We offer a wide range of PADI courses. 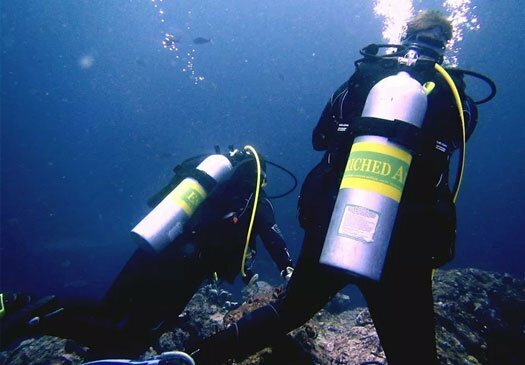 If you are looking to do multiple days of diving and would like to enhance your diving skills, why not go for one of our PADI dive course packages on Bali? Not only are they great value for money, they also take you to some of the best dive sites in Bali. Who can join: To enroll in these diving courses, you must be in good health, be able to swim and 15 years old (12 for Junior Advanced Open Water Diver). Like all our courses, these courses are available in multiple languages. 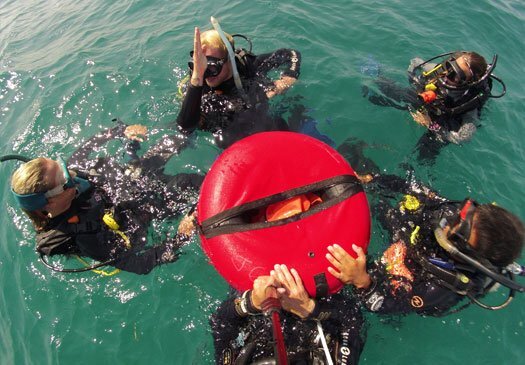 Combine the PADI Rescue Diver course and the Emergency First Response course to get great value for money. The PADI Rescue Diver course teaches you how to become a safer diver and how to prevent and manage problems in the water, and become more confident in your skills as a diver, knowing that you can help others if needed. Plus, the course is just fun – it’s serious, but still allows for lots of laughter. 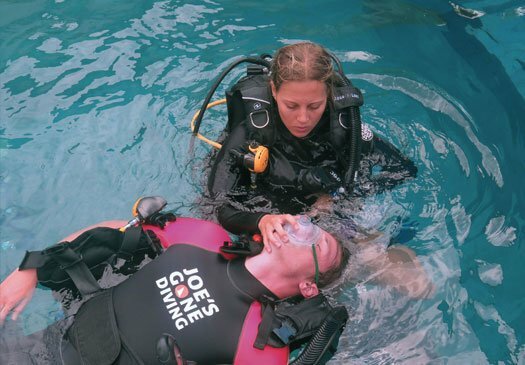 To become a PADI Rescue Diver you will need to have the Emergency First Response certificate or a comparable certification with medic first aid and CPR. So you might as well combine the two and benefit from one of our dive course packages on Bali. Who can join: Minimum certification level: PADI Adventure Diver or PADI Advanced Diver. Minimum age: 12 years. The first day will be dedicated to the Emergency First Response Course and will be out of the water. You will practice primary and secondary care and learn how to administer CPR. The next two days focus on the PADI Rescue course. On the first day of the PADI Rescue Diver course you will watch the DVD, make tests and head for the pool to start practicing rescue skills. The second day will take place in the ocean where you will practice skills and scenarios. Check out the respective course pages for more detailed course information. 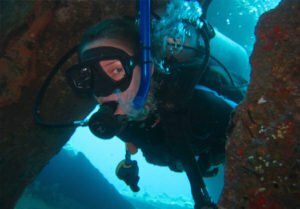 Specialty Junkie: 5 specialties for the serious fun diver! 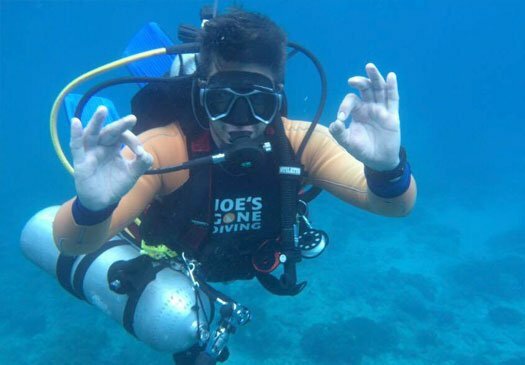 Especially for the enthusiastic diver Joe’s Gone Diving has developed a package of 5 useful and above all fun PADI specialties: nitrox (enriched air), digital underwater photography, drift diving, peak performance buoyancy and the AWARE Shark Specialty or AWARE Fish ID Specialty. You will dive on a variety of dive spots on Bali while expanding your dive skills at the same time. What more could you wish for? You can do all 5 specialties in one week. But can also spread them out over a longer period of time if you prefer. 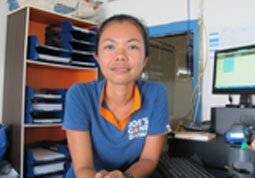 For each PADI Specialty you will study the manual and will make 2 dives (with the exception of the PADI Enriched Air Specialty course as it is a non-diving specialty). So you will be making 8 dives in total. You will learn to fine-tune your buoyancy skills with the PADI Peak Performance Buoyancy course, will find out how to make great photos underwater with the PADI Digital Underwater Photography course, explore the excitement of drift diving in the PADI Drift Diver Specialty and learn how to extend your bottom time with the PADI Enriched Air Specialty. With the AWARE Shark Specialty you learn more about sharks and their conservation or if you opt for the AWARE Fish ID Specialty, you will learn to identify fish families and will finally have the answer to the question “what is that amazing fish I just saw”. Check out the individual PADI Specialty pages for more information on each of the Specialties. Or book one of our PADI dive course packages on Bali straight away. How can I pay and what happens if I need to cancel? Are you fit enough to dive? Did you answer any question with ‘yes’? Please contact your doctor. Download the questionnaire here. See all the diving specialties we offer. Please note all payments within Indonesia will have to be charged in Indonesian Rupiahs. Therefore the USD and EUR prices are just as an indication. NB. Prices can change without further notice. Our terms and conditions can be found here.